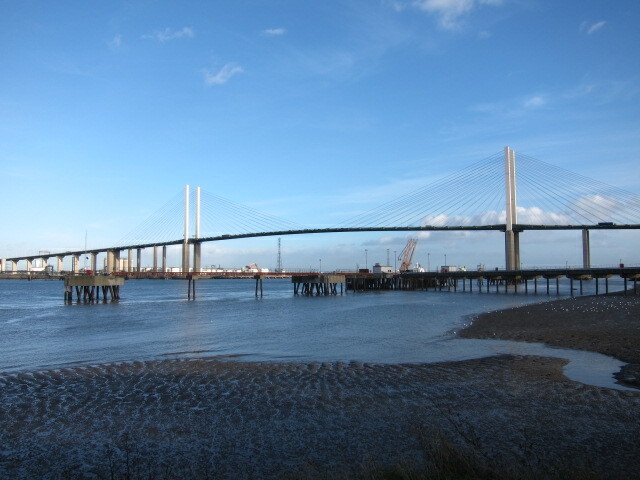 We picked up the path at Belvedere again, walking for a mile on the Green Chain Walk back to the coast at Erith Marshes. We walked several miles with mud flats to our left and new housing to our right. In the distance we could see the Queen Elizabeth Bridge crossing the river at Dartford. It is an absolutely enormous structure and dominated the skyline. Despite the forecast, it was another wonderful, blue day. 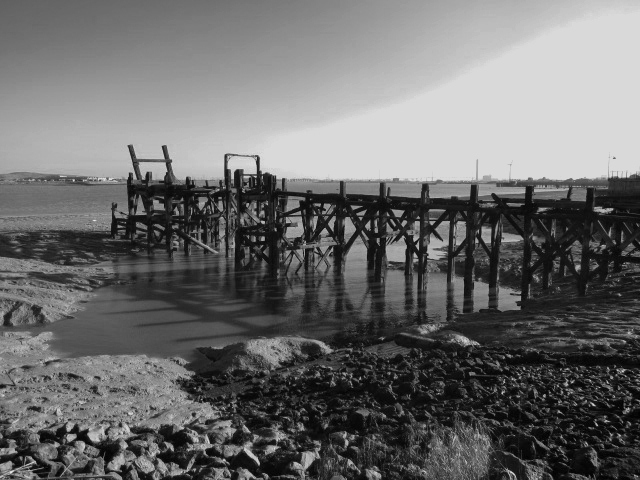 As we marched on we saw a number of derelict piers and old shipping lying on the shore – very picturesque, but sad. The coast line has changed significantly over the years, with new salt marsh gradually growing – we walked along a great spur of this, turning back in past the ruins of a moated castle originally built by William the Conqueror’s brother, Odo, Earl of Kent, to guard the estuary and lived in until 1935. Unfortunately, the map appeared to show a crossing at the mouth of the River Darent – the border between London and Kent, but actually, the feature was a massive tidal barrier which could not be crossed. We had to make a huge detour in land and then pick up the path an hour and a half later, 20 yards away on the opposite side of the river. This rather ate into the day’s progress. We continued along the coast, less to see now, as the north side became more countrified, and the south still with random heavy industrial sites. We approached the QE2 bridge around 3.15 and walked right under it, admiring the incredible beauty and the huge engineering feat it represents. The path stops not far away at Greenhithe, and does not reach the coast again until Gravesend, but winds through industrial estates. 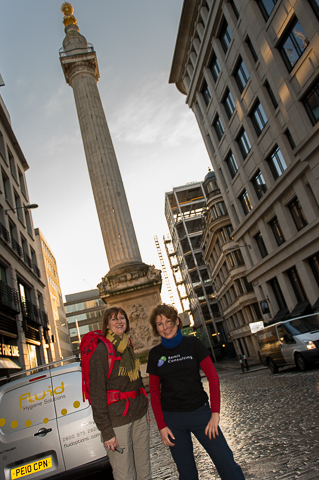 We finished at Gravesend by the statue of Pocahontas, then adjourned to the pub – another great day.